For those who may not be familiar with the Wassail, it can seem at first sight to be one of those excuses to have a bit of a party. Well, your not wrong! 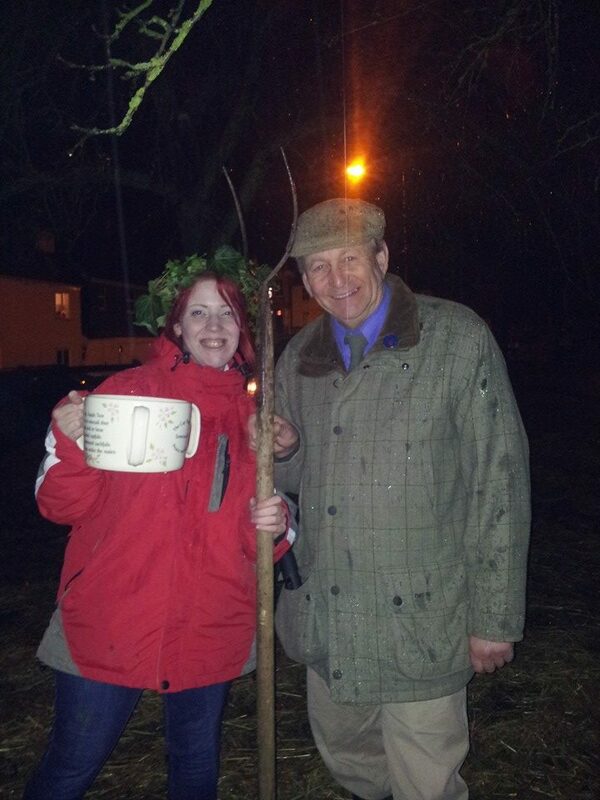 My daughter Lizzie and I back in 2013 at the Glastonbury Rural Life Museum, when she was made Wassail Queen! The tradition goes back a thousand years or more when the greeting “Waes hael” meant “Health be unto you” in Saxon. After the mid winter celebrations little could be done on the land, mainly due to the weather. The land would be cold and frozen, so preparations were made to ensure that all would be well in the coming seasons. What we know today as the “Wassail” started as a pagan insurance policy, and it wasn’t just the apple tree that received attention. The oxen and other livestock were wassailed with their health and well being for the coming year toasted in round after round of drinking. Our wassail today concentrates on the apple tree. It is woken from its winter sleep and encouraged to bear for another year; “Hat full, cap full, three bushel bags full and a little heap under the stairs” are just some of the many words used in the many versions of the ceremony through out the South West and beyond. Its normally done on old 12th night, that being 17th January in our modern calendar. In the village of Godney on the Somerset Levels the Wassail is left until early February. It was so again this year, when I led the ceremony on what had been a wild, wet and windy day. Storm ‘Imogen’ abated for a couple of hours on that evening, so that the 200 plus people attending could go and Wassail the orchard. Perhaps there is something in it after all!